Mineral Hill they called it and plastered its reddish slopes with claims-The Mammoth, Big Bonanza, Headlight, Big Red and Monte Cristo. 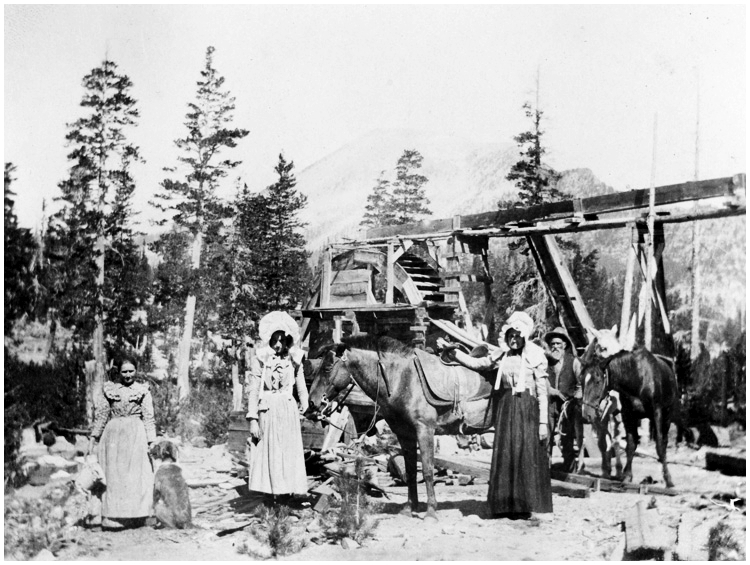 Mineral Hill east of Lake Mary, whose rich pockets of silver and gold led to incorporation of the Mammoth Mining Company, which in turn ignited a rush to Mammoth and wild speculation in 1878. 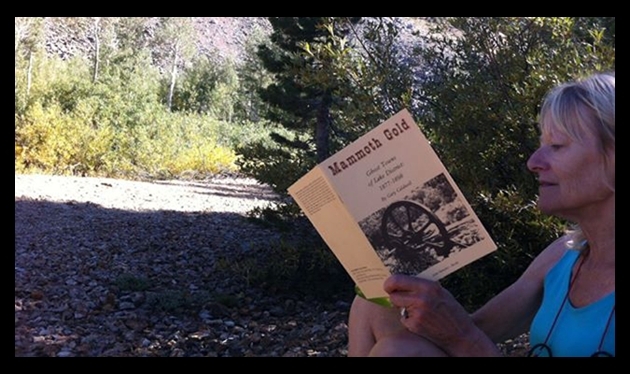 Mineral Hill that lured those first prospectors and pioneers to climb the steep rough road -aftoot, on horseback, by wagon and team-to build three little cities midst the wild grandeur of an early mining district in Mono Country, California. 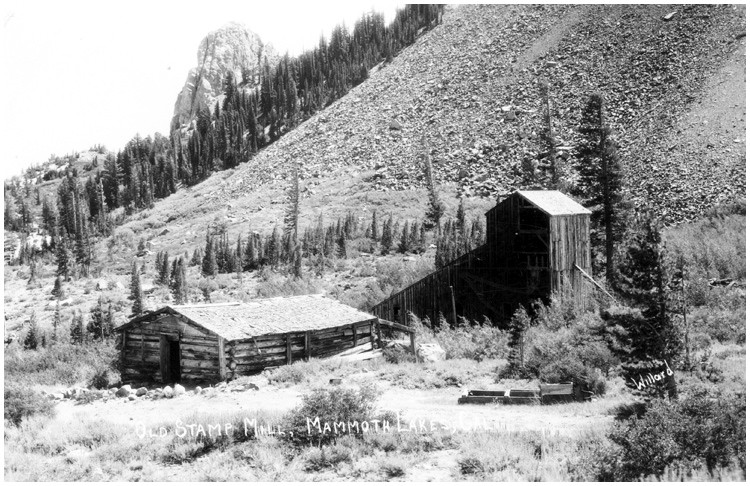 Mammoth City, the largest in the Lake Mining district, sprawled across the low rocky slope opposite Red Mountain, as Mineral Hill has come to be known. 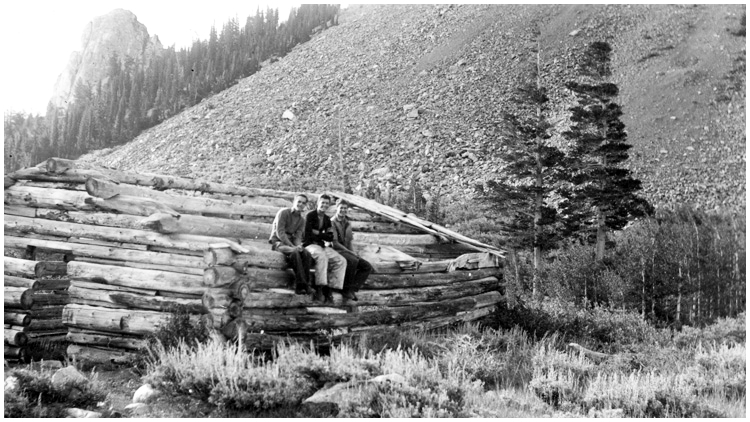 Pine City, sometimes called Lake City and next in size, was built near Lake Mary in the timber and finally Mill City. As late as the ’20s several fine log cabins still stood in old Pine City. Mill city was down the ravine below Mammoth City near the big Mammoth Mining Company Mill. The struggle to work and to live in this rugged country of high, thin air, short summers, long, cold and snowy winters, lasted but a few short years. 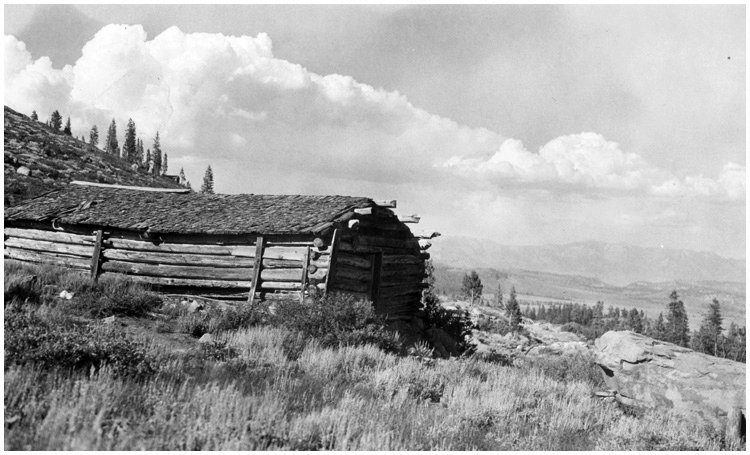 Typical boom camp architecture-rough frame building with false fronts, a log cabin here and there and many dug-out type dwellings appeared. Home, sweet home for the courageous people gathered together far above the valleys. The area boasted three news sheets, the Mammoth City Herald, Mammoth City Times and Lake Mining Review. Ads in the papers included business cards of surveyors, engineers, lawyers, a justice of the peace and a surgeon-physician, Dr. P. J. Ragan. The papers also ran mine notices and ads for markets and hardware. Prominent were those for Gem Saloon, Mammoth Brewery, Mammoth Saloon, Nevada Saloon, Yosemite Saloon, The Lake View Mining Co., Yosemite Chop House, The California Hotel, The Lake House and Fashion Stables. ~Adapted from “Old Mammoth” by Adele Reed. 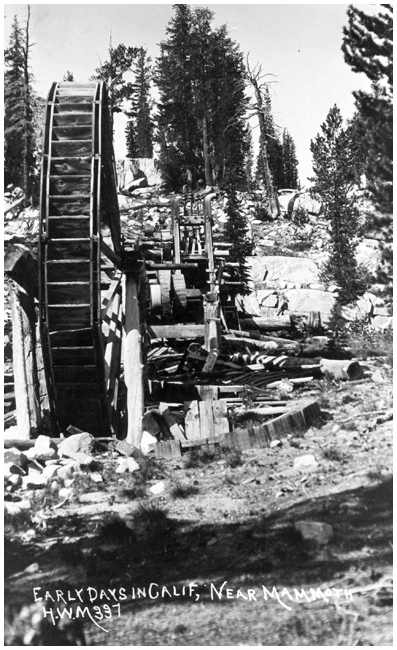 The Mammoth Mining Company Stamp Mill. The huge wood supply was intended to fire a steam engine. 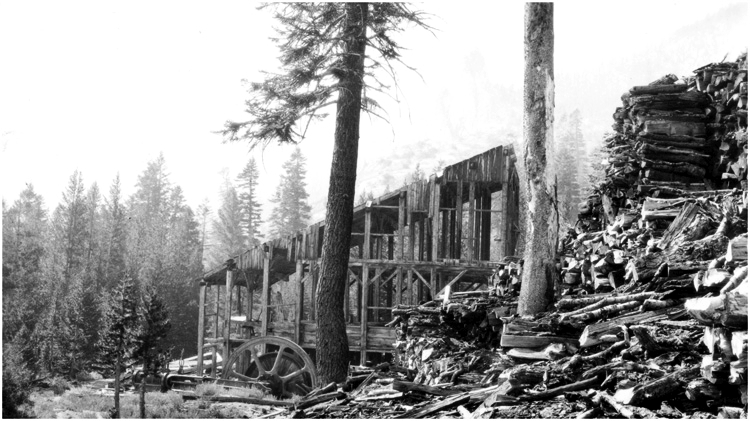 The mill burned down in 1929. The 3 Stamp Mill near Pine city, powered by water. Abandoned long ago, now vanished completely. Water wheel near Pine City. The arrastra, powered by the water wheel, is out of sight. This is one of the earliest known photographs of the Mills. Mammoth City Cabin on Panorama Dome. 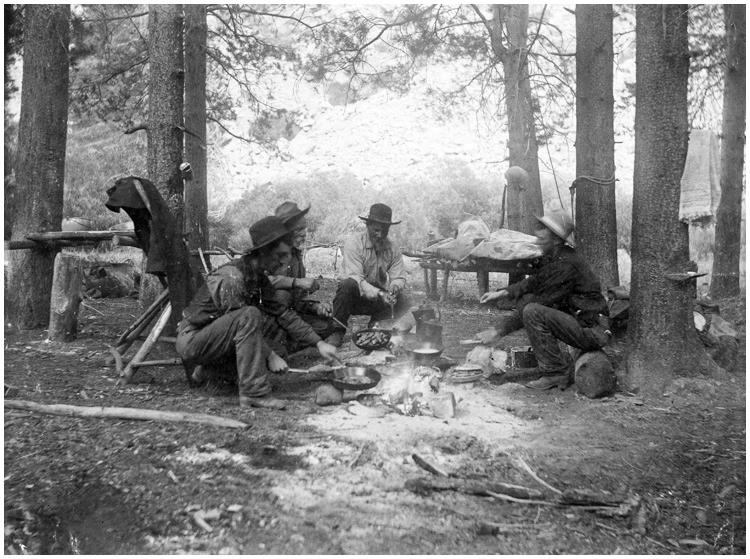 Miner’s Camp, frying up fresh fish. The remains and foundation of a cabin below the monolith; Mammoth Rock.